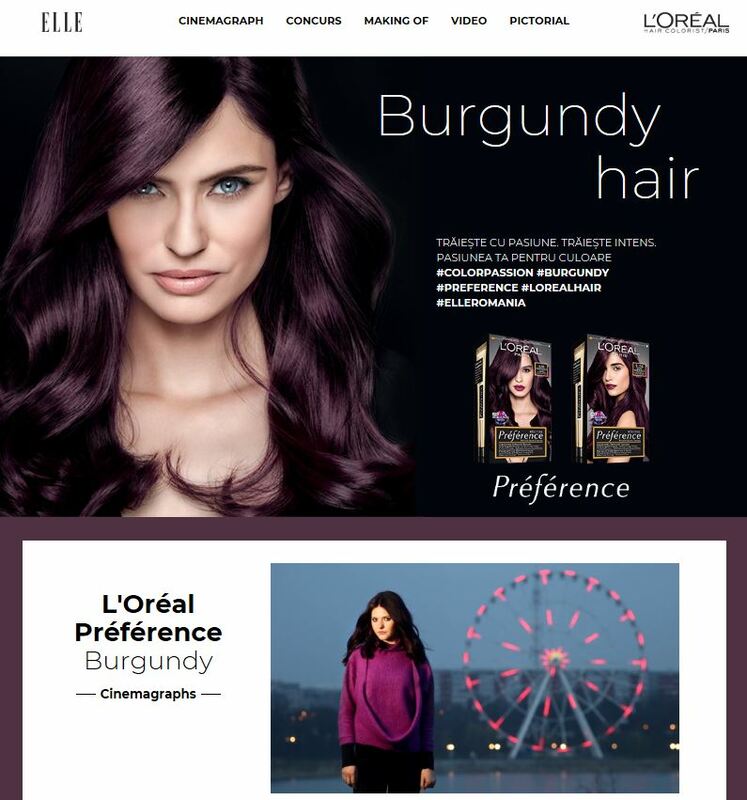 Brief: L’Oréal wanted to promote and generate sales for their luxury hair coloring product. They asked for videos specifically, showing the product being used and hair that has been colored with their product, to show its advantages. Concept: Through print and digital, we created a special fashion shoot around the hair coloring product. Our readers could see behind the scenes photos from the shooting, then head to YouTube and watch a making of video, then have fun with cinemagraphs and giphs with the sparkling after looks. Then, the readers who bought the product, would enter a raffle and win prizes. Delivrables: Editorial in print, special website (includes concept and copy, design, coding, management), 1 making of video, 4 giphs and 3 cinemagraphs, contest, lead generation, direct email.